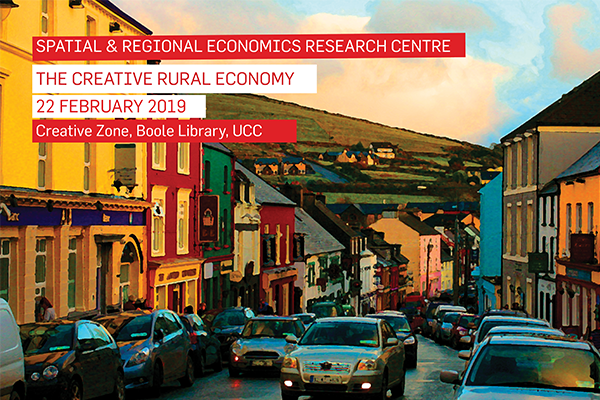 The Spatial and Regional Economics Research Centre (SRERC) at Cork University Business School host a public workshop to discuss the challenges of maximizing the growth potential of peripheral and rural Ireland. The dominance of the ‘city’ is a trend taking place right across the world where cities are attracting increasing numbers of firms and young educated workers. This is leading to greater spatial disparities within countries where the opportunities for jobs, wealth and better individual economic outcomes are increasingly becoming more confined to areas with a high population. These spatial disparities are increasingly being suggested as the underlying drivers of electoral wins for Donald Trump and Emmanuel Macron, Brexit, the recent extreme right-wing and left-wing populist voting patterns in Germany and the recent violent yellow vest protests in France. One thing is clear from these political developments - we need to think about our lagging regions, our peripherally located towns and rural areas. What is their future? Their story is complicated and there are many peripheral areas that are ‘standing out from the crowd’ and ‘punching above their weight’. The rural world is also spikey in economic performance with some areas performing better than others. What are their challenges? How do we help them curtail the brain drain? How can we unlock their economic potential? This event will address some of these challenging questions. It brings academics, policymakers, business entrepreneurs and social entrepreneurs together to discuss the challenge of maximising the growth potential of peripheral and rural Ireland. Speakers at the event will include leading Irish academics in regional economics and rural development, rural entrepreneurs and the CEO from Ireland's first rural digital hub - the Ludgate in Skibbereen. The topics to be discussed are innovation and entrepreneurship in peripheral areas, what towns are most at risk of automation, the importance of the creative industries to peripheral areas, digital hubs in rural areas and the future of peripheral and rural policy in Ireland. Automation and Irish Towns: Who’s Most at Risk?